Yup, I am officially a Southern Baptist. It all started when I was about ten years old. I was somewhat of an unusual child and my mother figured that the best way for me to make compulsory friends (who were compelled to be nice to me and to whom I was likewise compelled to be nice) was through church. She scouted them out and found the church with the largest youth program, which happened to be Southern Baptist. We joined the church and, contrary to my mother’s plan, I did not find my social life increasing through church activities. As my father grew tired of giving up his weekend beer, I grew tired of singing Christian pop songs and pantomiming the corresponding hand gestures in choir. Slowly, my family began to attend different churches – Presbyterian, Episcopalian, Methodist, etc. – but never actually changed memberships. Subsequently, I remain a Southern Baptist. Perhaps the most puzzling aspect of this story (at least, to me) is that I have yet to be asked out on a date by a Protestant – let alone a Southern Baptist. It seems as if my territory lies securely with Catholics and Jews. I suppose that this should come as no surprise, as my parents engrained in me a very strong respect for Catholicism and Judaism when I was young. My mother was actually baptized Catholic, as my grandmother came from one of these very rare families from Mississippi who attended mass run by Irish Catholic missionaries. The interest in Judaism came from my father, who developed a deep appreciation for the faith later in life. He read his Torah often, wore his yamaka with pride, hung mezuzahs on our outside doors, and carted me around to seder meals and even a Purim festival (to which I arrived garbed in an Esther costume and had the opportunity to throw a pie at Haman’s face.) Subsequently, when I go to mass or to shabat, I have this peaceful feeling like I am returning to my roots – the roots of where my personal religious beliefs sprouted. I have a similar feeling as I read about Africa – a feeling of returning to my roots. Often, my African friends facetiously remind me that if I go back far enough in my genealogical tree, I would find my roots in their villages. However, when I talk about returning to my roots in Africa, I refer to returning to a more genuine and ebullient way of thinking – which seems to me to be prevalent among Africans in general. Based on my (limited) experience and my readings (which are somewhat more extensive), the celebration of life seems to be an integral part of the way in which Africans interact with the world. Subsequently, when I read about modernity and development, I desperately hope that progress does not come at the price of losing this part of the African worldview. As I know I am writing for very astute readers, I do not want to provide a mundane historical background about Africa. However, I feel that at least a few statistics would be beneficial when reading this blog post. Although in modern day there are 54 internationally recognized states on the African continent, following the decisions made by the Berlin Conference of 1884, there were only 6 independent states (two of which were Boer Republics settled by Dutch.) Of course, colonialism played a much larger role than political borders. 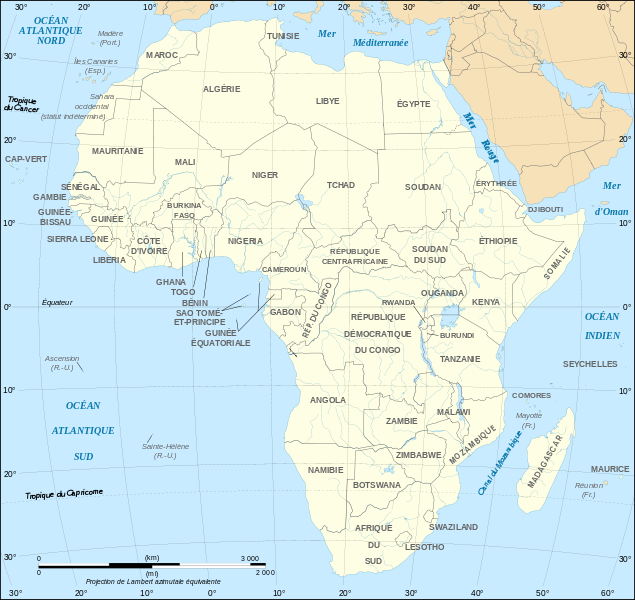 While it would be incorrect to blame Africa’s colonial past, solely, for its modern-day struggles, there is no doubt that it plays an important role, even if only to create a historical precedent for resource extraction. 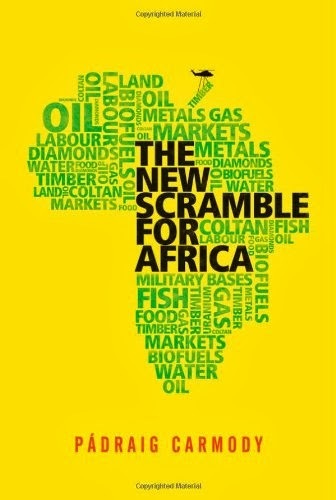 “Africa contains 42 per cent of the world’s bauxite, 38 per cent of its uranium, 42 per cent of its gold, 73 per cent of its platinum, 88 per cent of its diamonds and around 10 per cent of its oil.” (page 2) However, in spite of this vast wealth of resources, Africa is known for its lack of wealth and its lack of development: “Nonetheless, around half of the population of sub-Saharan Africa (SSA) live on the equivalent of less than US $1.25 a day (World Bank 2010. )” (page 2) Of course, in today’s world of globalization and capitalist forces, Africa’s population of over 1 billion people represent a large and growing market. This market will only continue to grow, as a report from the Population Reference Bureau estimates that by 2050, there could be 2.4 billion people living on the African continent.